The synthetic opioid fentanyl and other fentanyl-like drugs were involved in the deaths of at least 70 people in Washington in 2016, according to a joint investigation of state agencies. Fentanyl drugs are a problem that appears to be increasing here, as elsewhere. The Department of Health, the State Toxicology Laboratory, the University of Washington’s Alcohol and Drug Abuse Institute, and Public Health Seattle & King County collaborated on an investigation to better understand how fentanyl-related drugs are being obtained and used, and the extent of their influence on overdose deaths in our state. This report is the result. Fentanyl-involved deaths roughly doubled from 2015 to 2016, though direct comparisons are not possible because the state’s toxicology lab changed its test protocols in mid-2016 to identify smaller amounts and new types of fentanyl-like drugs. In 2015, using the old protocol, the toxicology lab identified 28 fentanyl-related deaths. 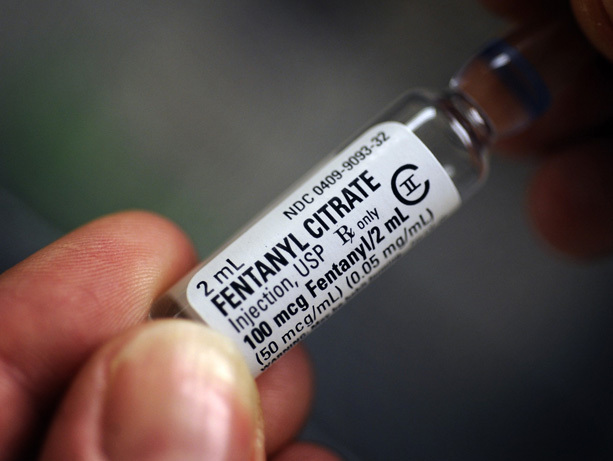 The 2015 protocol would have identified 53 fentanyl-related deaths in 2016; the new protocol identified an additional 17 deaths related to fentanyl and similar drugs. Caleb Banta-Green, a senior research scientist at the UW’s Alcohol and Drug Abuse Institute, analyzed medical examiners’ data from King, Pierce, Snohomish and Spokane counties, where 41 of the 70 fentanyl-related deaths were recorded and where more details about those deaths were available. Fentanyl is a fast-acting, powerful opioid – 50 to 100 times more potent than morphine and 30 to 50 times more potent than heroin. Fentanyl compounds bought on the street or on the internet may have unpredictable levels of potency, making it hard to use a known or consistent amount or even to know what drug you are taking. Importantly, the illicitly produced drug can be chemically indistinguishable from the pharmaceutical drug. However, it is typically sold as a powder or a pill – forms not available by prescription. Pharmaceutical fentanyl is typically only available at hospitals for surgeries and occasionally prescribed as a transdermal patch or a lollipop form to treat patients’ severe pain. Over the past several years, overdose deaths from prescription opioids have declined while heroin deaths have increased. Preliminary analysis of 2016 data shows there were 680 opioid-related overdose deaths in Washington. During the past few years, approximately 700 opioid-related overdose deaths have occurred every year in Washington.